London is a city where museums are certainly not lacking. They are so many that it is difficult to choose which ones to visit, especially when visiting the city for the first time: the days are few, the interests are many, and you have to condense everything in the period that you have available. After having collected in a post the 5 “minor” museums to visit (in my opinion), today I would like to talk about the 7 “major” museums I think should not be missed (even if everyone on a trip is awkward to see them). The 7 museums that I have chosen to list in this post divide them into three macro – topics (Painting and Sculpture, Transport and History of London) to facilitate reading. A short note before starting: it was not easy to choose which museums to talk to (so much that I couldn’t select “only” 5). I deliberately avoided giants like the National Gallery and the British Museum because they were quite obvious as “museums to visit” and even for a couple of those on the list I was in doubt whether to include them or not. Talking about painting, I adore this museum dedicated to modern international art. 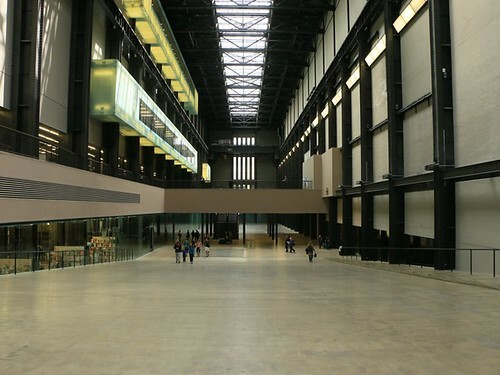 The Tate Modern is part of the “Tate complex”, which also includes Tate Britain, Tate Liverpool and Tate St Ives. The number of this museum is clear: with more than 4 million visitors a year, the Tate Modern is the most visited modern art museum in the world (or at least one of the largest). My favourite aspect of this museum is the location: it is located inside the old Bankside thermoelectric power station, built between 1947 and 1963 and closed in 1981 (the museum was inaugurated in 2000).In my opinion, this is a perfect example of the recovery of industrial buildings for other purposes, specifically for cultural purposes. In 2016 a new section was also inaugurated, an expansion of the museum precisely because the many visitors to the museum had the opportunity to experience it at its best, having enough space to shoot. The museum’s permanent collection is on the third and fifth floors of the building, while on the second and fourth there are temporary exhibitions. The Turbine Hall, once housed the electrical generators of the plant, has a height equal to a seven-storey building and an area of 3,400 m²; it is used between October and March to exhibit specially commissioned works to contemporary artists. This initiative, sponsored by Unilever, initially had to last for the first five years after the opening of the museum, but the popularity of the effort led to its extension until 2008. In this section of the post, I want to talk about some museums that, although they may be listed among the “majors”, perhaps could reflect the interest of a few people. transport world. The building that houses the museum was built in 1670 to house the covered flower market, and the museum was moved here in 1980 (the year in which it took its current name). Today in this museum is preserved the wealthiest heritage of vehicles and documents relating to transport in Europe. The oldest pieces of the collection were collected at the beginning of the 20th century, and the group has increased over time. The museum can be divided into 4 “macro areas”. More than five thousand posters and around seven hundred original artwork are exhibited inside the LTM (the museum houses one of the largest poster archives in the world). The museum’s photographic archive includes more than 150,000 photographs that tell London from 1860 onwards. The section dedicated to short films and documentaries used to advertise London transport or to describe the London public transport system. 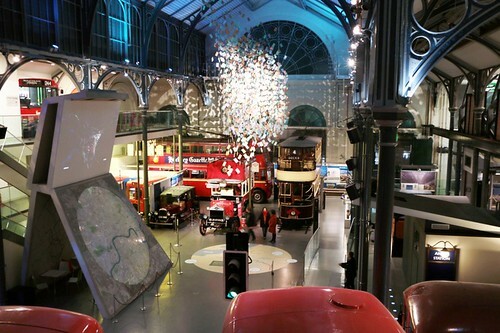 This is obviously the hub of the museum: the vehicles on display that create a story/path that allows you to walk through the evolution of London public transport. From the Omnibus to the most modern buses passing through the subway trains and the famous black cabs. Address: Covent Garden Plaza (on the same side of the Royal Opera House). 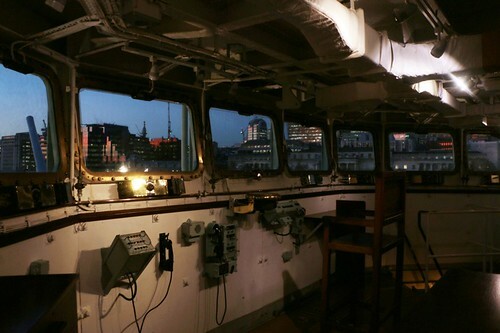 The HMS Belfast (Pennant number C35) is a British Royal Navy cruiser, which entered service in August 1939 just before the outbreak of the Second World War. After suffering damage in the war and having participated in numerous missions over the years, it was transformed into a museum in 1971. The starboard cannons are aimed at the London Gateway services service area, north of London on the M1 Motorway, more than 18 km away from the ship. This choice seems to have been made to make visitors understand how to appreciate the vast range of these weapons. When I went to visit it, I was not very convinced, because I’m not a big fan of this kind of museum, but I admit I had to change my mind! The visit was fascinating, especially to find out what life was like for soldiers and people on board. the United Kingdom and its Empire”. Today, however, the intent is to “allow people to have an informed understanding of the contemporary war and its impact on individuals and society”. 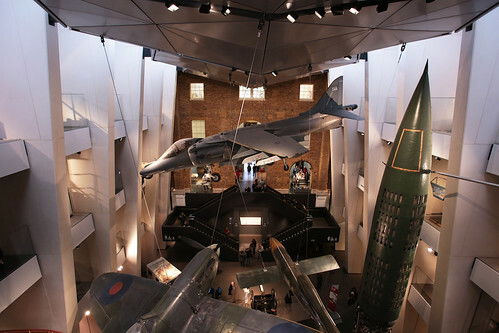 The name is often abbreviated to IWM and is a national museum with five locations across England (three in London alone). After several moves to different places, he arrived in today’s location (the building of the former Bethlem Royal Hospital) in 1936, and the step was completed in the sixties (during the Second World War, he had a decline due to the topic he was discussing). In the museum, there are, besides an art collection, various military vehicles, aeroplanes, equipment and weapons of all kinds, numerous official and private documents, photographs, films and recordings of interviews to witnesses of significant historical facts. Also exciting is the museum site in Duxford, near Cambridge, where there are British Air Force vehicles exhibited. 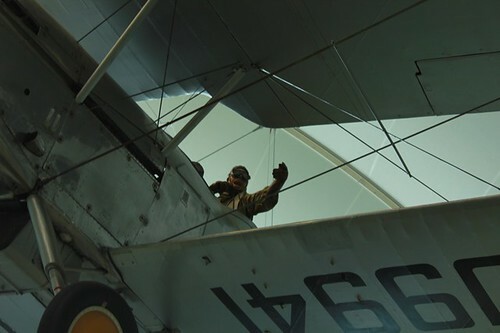 Definitely out of the city centre, in a quiet residential area, this aeronautical museum aims to tell the story of the Royal Air Force (the air force of the United Kingdom). The museum houses about 130 aircraft and among these there are three examples of the note: the bomber of the Second World War Avro Lancaster R5868 “S-Sugar”; one of only two Vickers Wellingtons still existing and the only Hawker Typhoon to date (still) complete. To conclude the post, I want to recommend two museums designed to tell the story of London as a metropolis and as a harbour city. from prehistory to the present days. The museum is located near the Barbican Center (a few minutes walk from St. Paul) and overlooks the ruins of the ancient Roman walls of which I spoke in the post about “the ancient Londinium”. 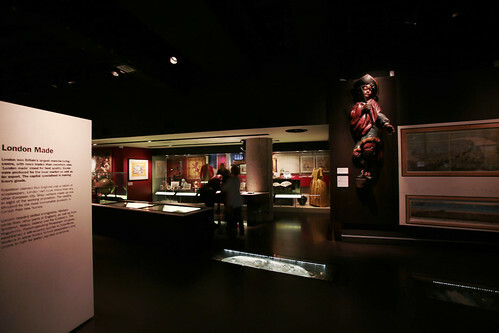 The museum was opened in 1976 as part of the Barbican Estate, and there were exhibited pieces and collections that previously belonged to the Corporations or other museums. Among the most important pieces is the state carriage of the Lord Mayor of the City of London and the reconstruction of a Victorian London street. The exhibition follows a chronological order, on which is also structured the path that visitors must follow. 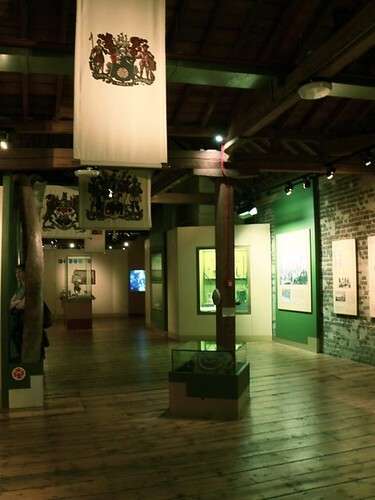 The purpose of this museum, located on the Isle of Dogs (east of the city), is to tell the development of the city of London as a port from the Roman settlement to the more recent development of Canary Wharf. For its location was chosen an old sugar factory, showing once again how in London they are easily able to recover ancient historical buildings for “new” purposes. Many of the exhibits are from the museum and the archives of the Port Authority of London. The museum is structured on 2 floors and 12 galleries (plus one dedicated to children), which house historical artefacts, models and images told with videos and graphic panels. The history of the evolution of London as a port city is said, of course, in chronological order: it starts from the Roman era, with the first port, to arrive at the evolution of the ’70s and, finally, to the residential and commercial developments of the following decades (until today).